I love Sicily. I love it because it is collared by gleaming sea and a ribbon of sand-strewn beaches, but its heart is anchored in mountains of ragged volcanic stone. I love its metal light as the sun beams a hole through the azure canopy of midday, washing the landscape in flat white heat. I love the people I’ve met there, their history built brick by ancient brick into a culture that is fiercely, proudly Sicilian (not Italian), but is equally fierce in its hospitality. I love Sicily because I love Mount Etna, that hulking goddess who praises, scolds, and waits. I’m always telling friends to visit. Go, I say, see for yourself. Taste for yourself. Because Sicily is also delicious. Sicilian food is greater than the sum of its traditions, more than the measure of its arancini and anelletti, its caponata and cannoli, its ricotta, gelato, and pasta alla Norma. 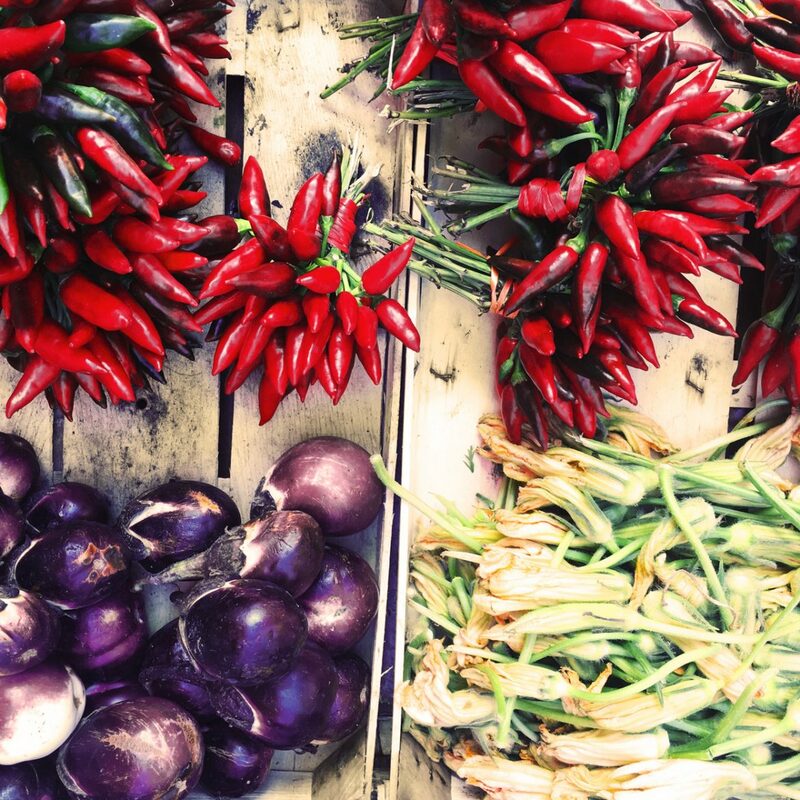 Sicilian food is not simply delicious, it is concentrated deliciousness. 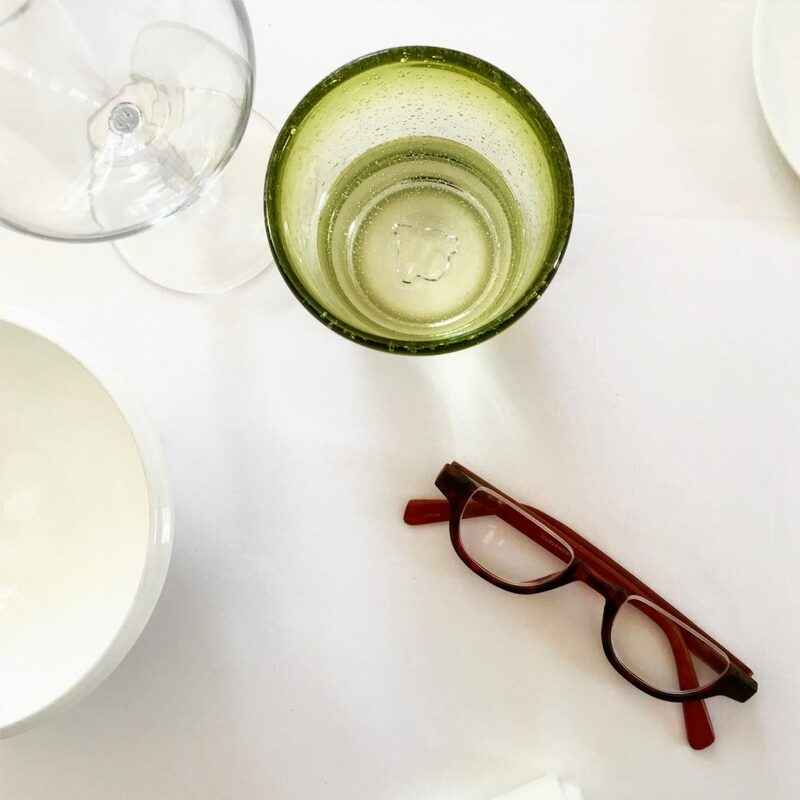 The island’s long, brilliant days coax intense flavors from the terroir, and combined with the fruits of the teeming Mediterranean sea, the cuisine feels essentialist. When each ingredient is this focused and fundamental, it needs little adornment. Every time I return from Sicily, I bring the flavors with me, stuffing my luggage with pantry staples—whatever will fit and will pass through customs. In deepest winter, like now, I especially crave the island’s solar-powered flavors: salty, savory, bitter, herbal, earthy, sour, sweet. Sicily’s freshest foods are hard to source here at home, but its condiments, cured, dried, pressed, and salted, can add sunshine to the plate year-round. Below are seven favorites, which you can purchase from specialty food shops or online. Or you could, you know, just visit. 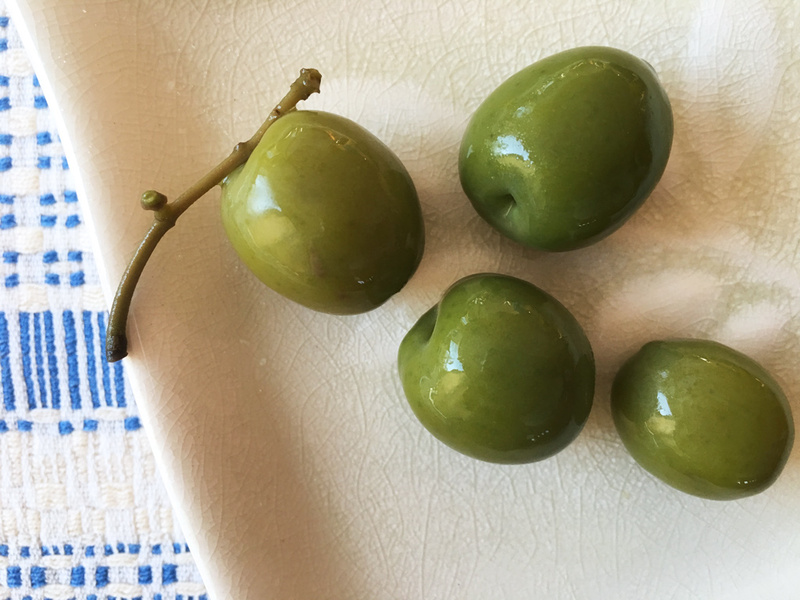 Named for the commune of Castelvetrano, south of Trapani on the island’s west coast, the olive variety is actually Nocellara del Belice DOP and it’s important for both olives and oil. The bright green orbs are snappy and toothsome, but the flesh is surprisingly buttery. They make a fine snack for aperitivo. Set them out on small plates with a scattering of Sicilian almonds and pistachios, and pour yourself a spritz made with sparkling wine spiked with the exquisite Sicilian amaro Amara Amaro d’Arancia Rossa. 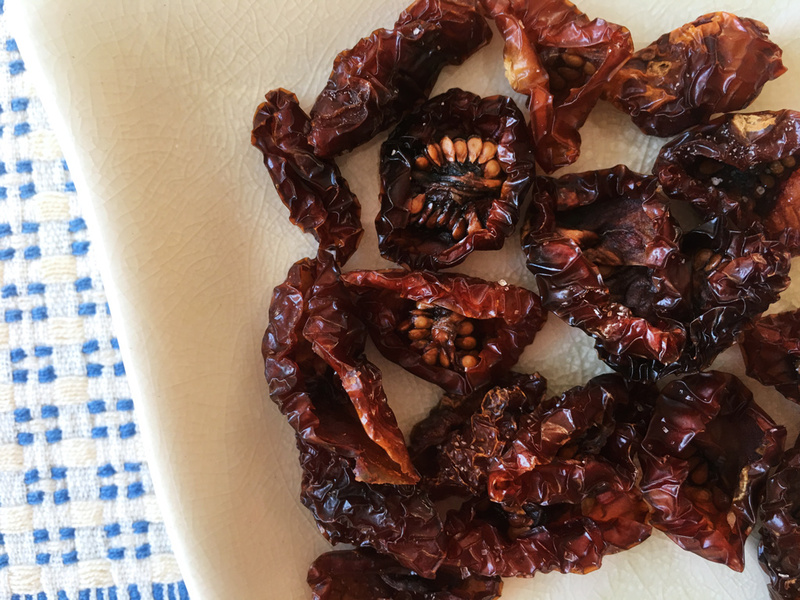 Salting and sun-drying concentrates Sicilian tomatoes into intensely sweet-savory morsels that add an umami punch to soups and stews. Look for tomatoes labeled Pomodoro di Pachino IGP, a designation used for four tomato cultivars from southeastern Sicily that range in size from cherry through grape and beefsteak. I like to nibble on the salty dried fruits, but cooking is how they shine. For a burst of Mediterranean flavor, reconstitute a handful in water or red wine, then mix them into gratins—or, my favorite, macaroni and cheese—before baking. Pantelleria is a scrappy chunk of volcanic rock pitched into the Mediterranean between Sicily and North Africa, and the island’s drying winds yield intensely concentrated flavors. 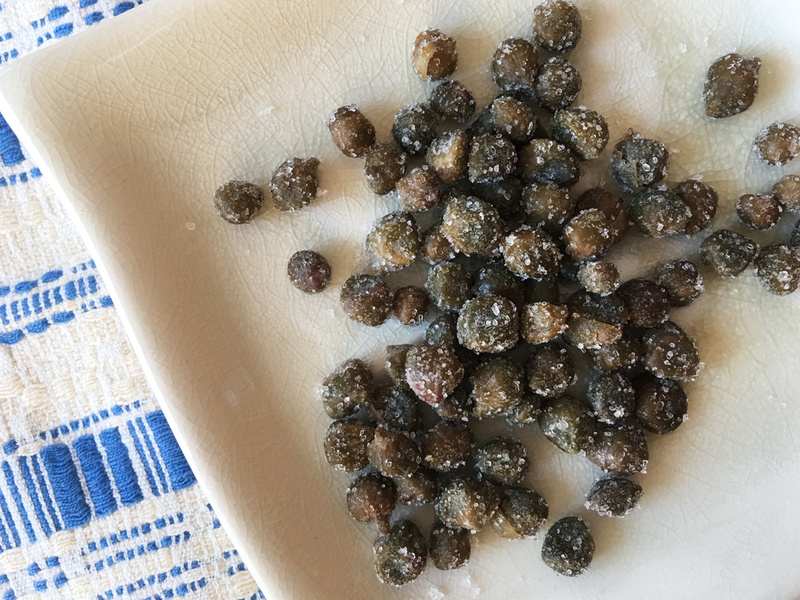 Capers are the flower bud of the Capparis spinosa plant, cultivated on Pantelleria as sprawling vines. Inedible when raw, the buds must be cured; these Caperi di Pantelleria IGP are preserved in Trapani salt (see below). To use, sift them from their clingy salt and soak them in water, milk, or white wine for 20 minutes. I like to toss them with chopped tomatoes and garlic and ripped basil leaves, then dress the mess in white wine vinegar and fruity oil. They’re also excellent with lemon and butter atop briny seafoods like scallops, swordfish, and cod. Save that salt! You can use it for finishing or in dressings and rubs. 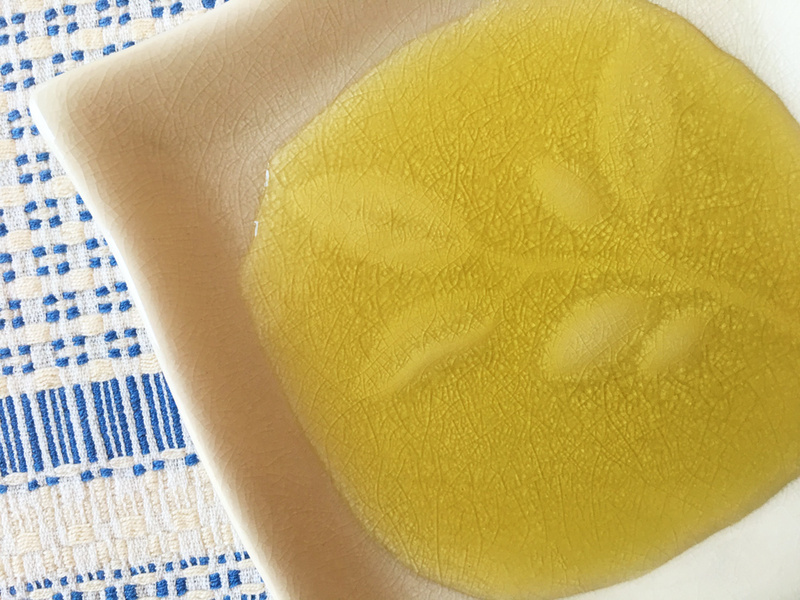 Olive oil is produced all over Sicily, but seven regions have earned PDO status for the specialness of their oils: the aforementioned Nocellara of Belice, plus Monti Iblei, Monte Etna, Val di Mazara, Valle del Belice, Valdemone, and Valli Trapanesi. The most important olive varieties include Biancolilla, Cerasuola, and Nocellara. Sicilian olive oil is characterized by its deep gold color and grassy piquancy. Look for raw cold pressed oils, and be cautious about imitations; I like the oils of Ravidà, a family estate on Sicily’s west coast south of Mazara. Serve it as a dipping oil sprinkled with Trapani salt and cracked pepper, or drizzle it over vegetables or fresh pasta. Sicily’s arid winds force plants to struggle, creating potent oils to guard against desiccation. Since oils carry aroma compounds, Sicily’s wild herbs are especially piquant and aromatic. 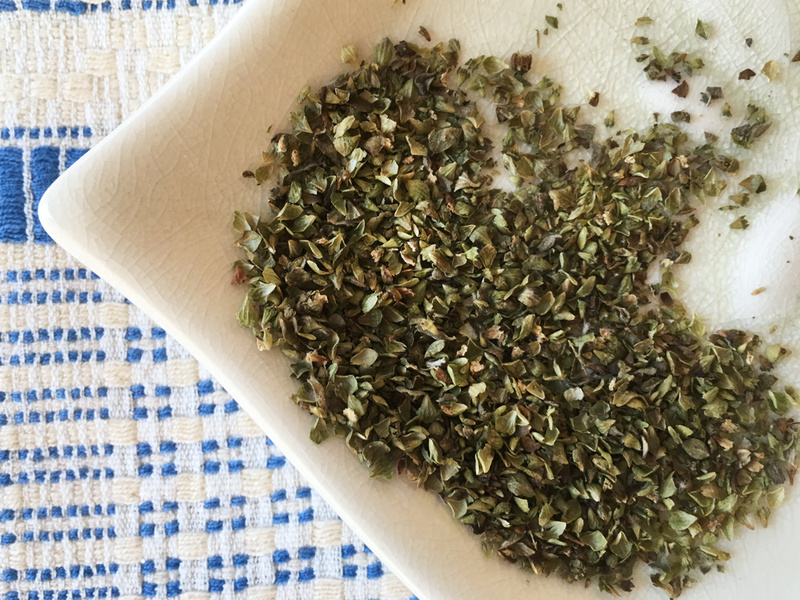 This oregano is harvested on the island of Pantelleria, and it’s an essential ingredient in my everyday marinara, adding that mysterious yet essential herbal-bitterness to the sauce. Wild Italian fennel (regrettably not pictured; I’ve none on hand), has tiny seeds that explode with a sense of sweet anise. 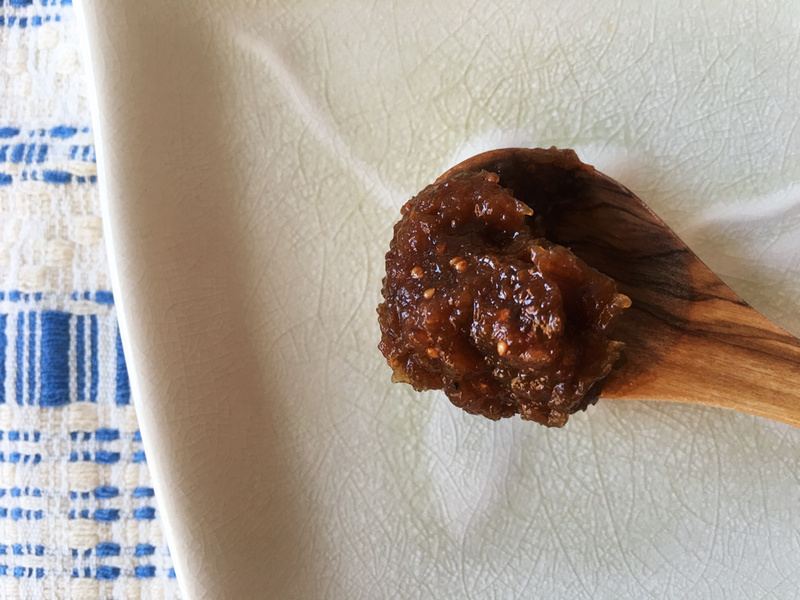 Sicilian fig jam is a kind of marmalade made simply from dried figs, sugar, and lemon juice. This one is made by Villa Reale, located in Menfi on the western side of the island. It’s not overtly sweet or sticky, making it versatile at the table as a spread for breakfast toast, a topping for poultry, or a condiment for the cheese plate. I like it especially with aged cheeses—to continue the Sicilian theme, try Pecorino Siciliano PDO, made from ewe’s milk, or a six-month (or more) Ragusano PDO, made from cow’s milk—but really any hard cheese will do. The fruit and lemon pose a sweet counterpoint to the cheese’s salt and crystalline crunch. What would I do without Trapani salt? Sale di Trapani IGP is produced in the salt pans of Trapani, on the island’s western corner, where Mediterranean sea water flows into shallow salt pools to be evaporated into crystals by that strong Sicilian sunshine. 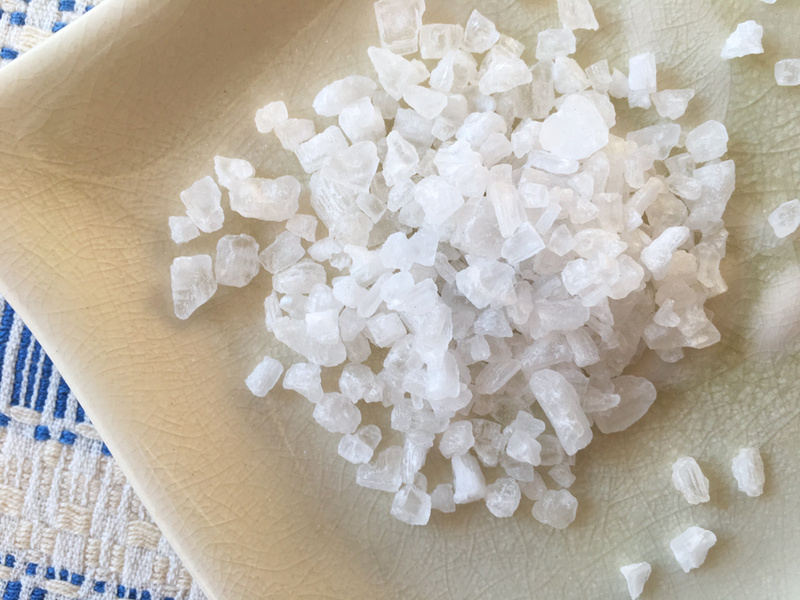 The salt is milled into a variety of grain sizes, then sold in bulk or packaged for sprinkling, both plain and flavored with seasonings like lemon zest, juniper, and black pepper. The salt is slightly damp and the flavor is distinctly mineral and sea-briny. I use it freely. Last time I was in Trapani I bought a kilo of the stuff for €1. I can’t wait to go back for more. Although none of the products mentioned here were review samples, the olive oil, fig jam, and oregano were gifts, and I’ve traveled in Sicily as a guest of wineries. I’m especially grateful to Salvatore Spatafora and GranVia Società e Comunicazione for serving as guide and host on several occasions, and to the many producers of wine, oil, salt, and other products who have shared their time, expertise, and samples during my visits. Their insights helped shape my understanding of Sicilian cuisine and foster my love for its terroir. I know you recently asked the community about this on Facebook, but what are some of your favorite specialty shop sources for any of the delicious items in your story? Hi David, I’m fortunate to have a well-stocked larder, so I haven’t had to do much sourcing. I do buy Castelvetrano olives from my local food cooperative, which purchases them in bulk and sells them in tubs. That store, along with Amazon and many and local groceries, also stocks Frantoia olive oils. Zingerman’s carries many Sicilian products, including olive oils, salted capers, spreads by Villa Reale—also the swoon-worthy Torrone di Noto nougat and the spicy Xocoàtl chocolates. Hi Meg, glad you enjoyed our olive oils! See you again soon. Thank you, Natalia. That’s your olive oil pictured above! Hi David, if you are looking for RAVIDA olive oil in the US try Olio2go online or Williams Sonoma and ask for 2017 harvest! I’ve traveled a lot in Italy, but have yet to make it down to Sicily. I love this write up of these ingredients though, and that olive oil looks sublime! I live in Spain, and I know there is a lot of competition between the two countries on who produces the best olive oil. I don’t discriminate, I love them both! Good strategy — both oils are delicious. Thank you for reading! A mouthwatering read Meg! I keep a bottle of Amara Amaro d’Arancia Rossa to elevate my Aperol Spritz, and I do love Castelvetrano olives (though I didn’t know they were from Sicily). Thanks for the introduction to your favorite Sicilian pantry items. I’ll be on the lookout! Martin, thank you for reading! So glad you enjoyed the roundup of delicious Sicilian staples. Happy eating!